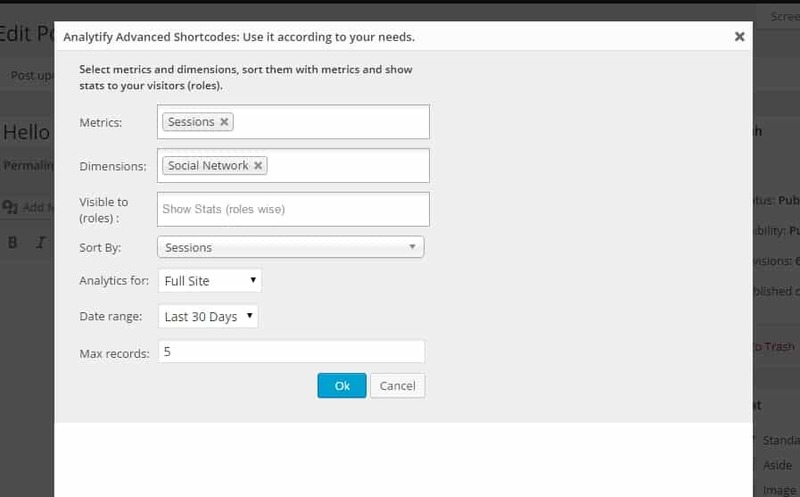 WordPress Analytify have the option to show “Social Media” stats on your Post/Page. For this you have to put shortcode on your Post/Page. 1) Go to you Post/Page text editor. 2) Then select the Advanced type from Analytify shortcode button. 3) In Advance option select the (Sessions) in Metrics. Next set the value (Social Network) which one you want to retrieve in Dimensions. 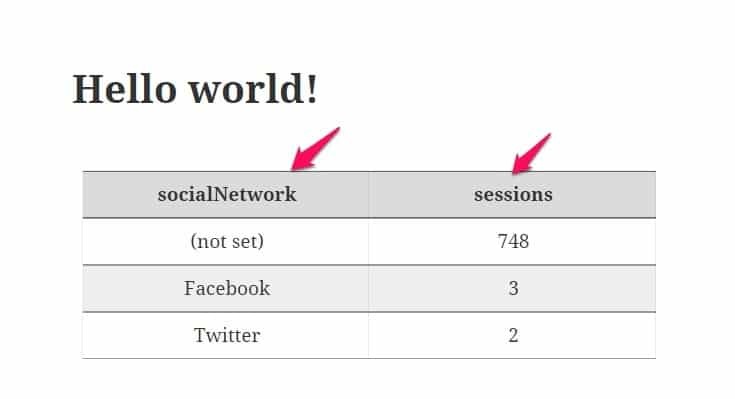 Sort the value with respect to Metrics (Sessions). Ans set the other fields on your demand. 4) After setting the values you'll get the shortcode.